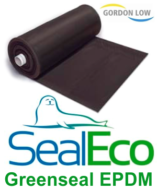 Gordon Low's SealEco EPDM Greenseal rubber pond liner is a synthetic rubber membrane with exceptional physical properties making it the ideal choice for lining ponds and streams. Rubber pond liner is a favourite among pond builders as it offers the greatest flexibility and the cleanest finish when building a pond using a flexible sheet liner. 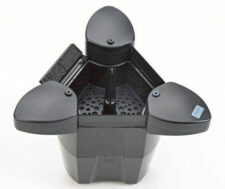 Being made of 0.75mm rubber, this liner is made to last and will easily mould to the size of hole which you have built. Gordon Low's SealEco EPDM (Greenseal) rubber pond liner is a synthetic rubber membrane with exceptional physical properties making it the ideal choice for lining ponds, lakes, lagoons and streams. During production the EPDM is vulcanised (cured under pressure and heat) creating an elastic, chemically stable product with negligible ageing through exposure to UV-radiation, atmosphere, chemicals, earth, water and extremes of temperature. Make sure when building your new pond that you remove all sharp stones, debris and any large roots from around the edge of the pond. It is also recommended to add a layer of sand to the bottom of the pond before lining and to protect your liner with underlay. Never forgot how heavy water is when using pond liner, all sides of the pond must be well supported. The other main consideration to take into account before laying your pond liner is to make sure that the pond of your new pond is completely level. You will receive further instructions for constructing a pond and laying a liner within our liner packaging. You can view our pond underlay by clicking here. 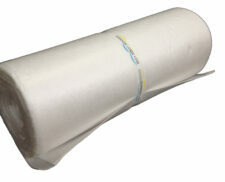 Please ensure you add the correct quantity to your basket for the size of liner you are purchasing.